The "Diana" gambeson is a specialty in our line of products due to his design. With 6 lacings in the front and his sidecuts it can easily be adjusted to the wearer. The long sleeves are closed with an additional lacing. The different stitchings let you move freely while providing protection against rashes and bruises. 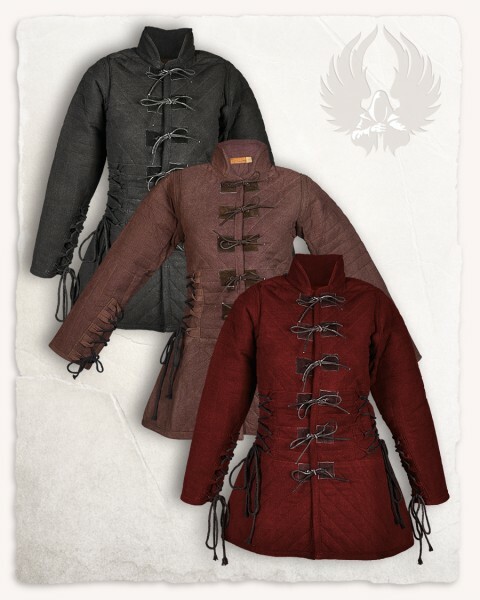 The gambeson is padded with wool felt and lined with light cotton.